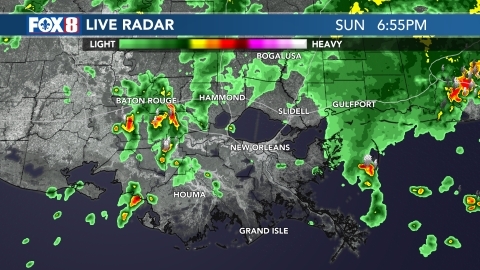 NEW ORLEANS (WVUE) -After a foggy start, clouds will hang in as we will see a few passing showers through the rest of the day. Temperatures will climb into the mid 70s today. Tonight, we will only fall into the mid to upper 60s as a cold front approaches. That front should arrive in the morning with some rain and storms. Behind the front, temperatures will drop into the 50s through the afternoon. Mild, dry conditions will take hold for Wednesday and Thursday, then we’ll warm up Friday ahead of another front Friday night. Cool, dry conditions will return for the weekend.